Order an eligible broadband or mobile product at BT.com. You can claim once your broadband is up and running. For mobile, you’ll need to wait 30 days after you’ve activated your SIM – or 30 days after you’ve received your phone for handset plans. Claim your reward online using your BT ID. We’ll post your reward within 30 days if you’re successful. What is the BT Reward Card? The BT Reward Card is really easy to use. We pre-load it with money, and you can spend it on things like shopping and other everyday purchases – or use it to treat yourself. You just need to activate it and then you can start spending. It can be used at millions of places across the world (in most places with a Mastercard® logo). There are just a few exceptions that you can read about in the T&Cs below. It uses Chip and PIN, so it’s more secure than spending cash. What is my BT ID? Your BT ID is the username and password you need to log into My BT to check your online account and to log in to the claim tool. No, you can only claim the BT Reward Card if you’ve ordered a package on bt.com. Where will my BT Reward Card be sent? Providing you are eligible, you should receive your BT Reward Card within 30 days of submitting a successful claim. We will post the card to your installation address. Having problems with your BT Reward Card? If you have any difficulties claiming or receiving your BT Reward Card you can contact us online. All payments on your card will be in pound sterling (£). The card is provided to you as a limited time reward. Whilst you are permitted to use this card in accordance with this agreement, the party that provided you with the card remains the legal owner of the funds loaded onto the card at any time. As part of the card activation process or any time thereafter and before this agreement terminate, we are obliged to undertake Sanction checks on all our card users (as required under the Money Laundering Regulations). In some instances, we may also have to verify your identity. If we are unable to verify your identity, if you appear on any of the sanction lists or if we find that you are not eligible to be in receipt of the card under the rules of the card program, we will cancel your card and we may have to take further action, as required by law. We will inform you of our intent to cancel your card, if lawful to do so. When we perform electronic identification checks, personal information provided by you may be disclosed to a registered Credit Reference Agency who may keep a record of that information. A credit check is not performed and your credit rating will not be affected. You should therefore read these Terms and Conditions carefully. If there is anything you do not understand, or do not agree with, please Contact Us. You can view a copy of these Terms and Conditions on the website; see the reverse of your card or the information provided with your card. Alternatively, you can request a copy by email or post, free of charge. We advise you to print a copy of this agreement once you have read it, for your records, and to do so again each time you are advised changes have been made to the Card Terms and Conditions (see Changes to Terms and Conditions). These Terms and Conditions stay in force until the final card issued to you expires, unless otherwise advised by us. If you do not activate your card within the time advised on the letter which came with your card, we will cancel your card and you will lose your rights to use the funds on the card. Once you activate your card, you can use it immediately. You can retrieve your PIN online, by text or via the IVR, at any time. You may be charged for accessing your PIN by text (see Fees and Charges). You can use your card at most retailers who accept Mastercard. It is, however, up to the retailer's discretion whether they accept your card in any particular instance. If you are paying for goods and services in a different currency, the value of the transaction will be converted using the Mastercard conversion rate at the time your transaction is processed. Note that exchange rates may fluctuate and that they may change between the time when you make the transaction and the time when it is settled and billed to your card; this is outside our control. You can find current or past conversion rates on the Mastercard website. When paying in a different currency, a Foreign Exchange fee may apply (see Fees and Charges). There are no usage limits applied to your card. To check your balance, go to the website, go to the mobile app or Contact Us by phone. Any transaction will be noted against your balance immediately but may remain in pending status until the retailer settles the payment. During the time that a payment is pending you cannot use these funds. It is up to the retailer how long funds are kept in pending status. Any fees (see Fees and Charges) will be taken from your card balance when they become payable. You will not be charged a card usage fee for domestic transactions. We will not send you paper statements; instead your transaction history can be found on the website or on the mobile app. Your card cannot be used obtain cashback from a retailer. If you report your card lost or stolen or report any transactions that are not authorised by you or which are wrongly executed, we will refund without undue delay and issue you a replacement card if required (charges may apply; see Fees and Charges). You will be liable for any transactions up to the time you report the loss, theft or disputed transaction, up to £35. We will deduct your liability from the value to be refunded to your card. If we however have reasonable grounds to suspect that you or someone with your consent has acted fraudulently or with gross neglect, we may withhold refunding any unauthorised or disputed transactions until a full investigation has been completed. If you notify us three (3) months or later after the date of any disputed or wrongfully executed transactions appearing on your account, we may not be able to assist you. Therefore, it is important that you Contact Us as soon as possible. Any erroneous deductions from / credits made to your card balance by us will be corrected no later than one (1) business day after we have become aware. Where necessary, and pursuant to the terms of this Agreement, we reserve the right to investigate any transactions at any time, and to charge you for any reasonable costs that we incur in taking action to stop you ‎using your card, other than in accordance with this Agreement, and to recover any monies owed as a result of such activity. £0.05 per message, unless otherwise advised on the website. £10.00, unless otherwise advised by us at the time. If there is not sufficient balance on the card to charge this fee, we may not be able to issue you a replacement card; unless you wish to pay by other means. This fee does not apply when the card was found faulty outside your control. £20.00 for each disputed transaction that we have investigated and which was found to be authorised by you or someone with your consent. The maximum Investigation Fee that you will be charged is £50. £10.00 charged for each request we receive. If there are not sufficient funds on the card to charge this fee, we will provide this information and reduce the balance on your card to zero (0); unless you wish to pay by other means. This may result in us having to cancel your card. A charge of 2.75% may be levied on the full value of any transactions in a currency other than that in which the card is denominated. When such a fee is levied, this is out of our control and we are merely passing on the fee that we have incurred for supporting the relevant transaction in a foreign currency. We reserve the right to change any of the Terms and Conditions in this agreement (including changing existing charges or introducing new charges) by notifying you by e-mail, via the website and/or by any other reasonable means at least thirty (30) days before the change is due to take effect (unless we are required by law to amend this agreement immediately or more quickly). Any e-mail to you will be treated as being received as soon as we, using the details you have most recently provided, send it. If you do not accept our change(s), we will cancel your card and thus terminate this agreement immediately. Your do not have the right to redeem any available card balance (see Expiry and Cancellation of your Card). Blackhawk Network (UK) Ltd. (whose registered office is Westside, London Road, Hemel Hempstead, Hertfordshire, HP3 9TD (company registration number: 05802971) is authorised and regulated Financial Conduct Authority as an Electronic Money Institution (Registration Number 900023); under the E-Money Regulations 2011. Hawk Incentive Holdings Limited (whose registered office is at Westside, London Road, Hemel Hempstead, Hertfordshire, HP3 9TD (company registration number: 4155659) is the entity that has requested that a card is issued to you, on behalf of the party who provided you with this card, and is responsible for providing all the services associated with your card, including but not limited to providing customer service and managing any disputed transactions on your behalf. Blackhawk Network Inc., who also owns Blackhawk Network (UK) Ltd, ultimately owns Hawk Incentives Holdings Limited. You may not assign any or all of your rights or obligations under these Terms and Conditions but we may do so at any time on giving you two (2) months’ prior notice. Your rights will not be affected and you have the right to cancel this agreement (see under Changes to the Terms and Conditions). The laws of England and Wales govern these Terms and Conditions. The courts of England and Wales will have exclusive jurisdiction to deal with any dispute arising in connection with these Terms and Conditions. Rewards will be sent to the installation address only. If you end your agreement for service before the end of the minimum contract period you'll have to pay an early termination charge. You can see details at: bt.com/termcharges. All services are subject to BT's standard terms and conditions which are at bt.com/legalstuff. There is no cash alternative for rewards. Rewards cannot be replaced if lost or stolen. If a reward was offered on the date you placed your order, it will expire 3 months after the date your broadband is installed. (If your order was placed before the 1st JULY 2016, then the 6 month claim period still applies). BT reserves the right to remove the offer at any time. Rewards are subject to suppliers own terms and conditions. BT Employees purchasing BT Employee Broadband or BT Employee Mobile (including purchasing BT Broadband or BT Mobile with the intention to convert to BT Employee Broadband or BT Employee Mobile) are not eligible to receive these offers. BT Employees purchasing BT Employee Mobile (including purchasing BT Mobile with the intention to convert to BT Employee Mobile) are not eligible to receive these offers. On receipt you must activate the card within 3 months via the activation code, which will be sent to you by email to the email address provided with your order. The card is a non-reloadable prepaid card with no cash access (ATM or cash back). The card can be used at most merchants which display the Mastercard® acceptance mark until the funds on the card are depleted or until the card expiry date. Unspent funds which remain on the card after expiry date printed on the card cannot be redeemed. The card cannot be used at any Customer Activated Terminals (such as but not limited to pay@pump, toll roads, car parks or train ticket terminals), for subscriptions/automated periodic payments, to withdraw cash via cashback/ATM, foreign exchange bureaus, gambling, or any illegal goods/services. The BT Reward Card offer is open to UK residents only, over the age of 18. Your BT Reward Card is issued by Blackhawk Network (UK) Ltd, an Electronic Money Institution authorised in the UK by the FCA with Firm Reference number 900023; pursuant to license from Mastercard International. Mastercard® and the Mastercard brand mark are registered trademarks of Mastercard International Incorporated. Blackhawk Network (UK) Ltd’s company registration number is 05802971 and its registered office is at Westside, London Road, Hemel Hempstead, HP3 9TD. From 12.04.19 until 25.04.19 new to BT customers are eligible for a £0 BT Reward Card when ordering a Broadband Unlimited Package, £0 BT Reward Card when ordering a Superfast Fibre Essential Unlimited Package, £0 BT Reward Card when ordering a Superfast Fibre Unlimited Package, £30 BT Reward Card when ordering a Superfast Fibre 2 Unlimited, Superfast Fibre 3 or 4 Plus Package and a £0 BT Reward Card when ordering an Ultrafast Fibre Plus or 2 Plus Package. Existing BT Broadband customers upgrading to BT Infinity or those adding just BT TV are excluded. From 05.04.19 until 11.04.19 new to BT customers are eligible for a £40 BT Reward Card when ordering a Broadband Unlimited Package, £40 BT Reward Card when ordering a Superfast Fibre Unlimited Package, £70 BT Reward Card when ordering a Superfast Fibre 2 Unlimited, Superfast Fibre 3 or 4 Plus Package and a £100 BT Reward Card when ordering an Ultrafast Fibre Plus or 2 Plus Package. Existing BT Broadband customers upgrading to BT Infinity or those adding just BT TV are excluded. From 29.03.19 until 04.04.19 new to BT customers are eligible for a £50 BT Reward Card when ordering a Broadband Unlimited Package, £30 BT Reward Card when ordering a Superfast Fibre Unlimited Package, £90 BT Reward Card when ordering a Superfast Fibre 2 Unlimited, Superfast Fibre 3 or 4 Plus Package and a £120 BT Reward Card when ordering an Ultrafast Fibre Plus or 2 Plus Package. Existing BT Broadband customers upgrading to BT Infinity or those adding just BT TV are excluded. From 22.03.19 until 28.03.19 new to BT customers are eligible for a £50 BT Reward Card when ordering a Broadband Unlimited Package, £50 BT Reward Card when ordering a Superfast Fibre Essential Unlimited Package, £90 BT Reward Card when ordering a Superfast Fibre Unlimited Package, £130 BT Reward Card when ordering a Superfast Fibre 2 Unlimited, Superfast Fibre 3 or 4 Plus Package and a £140 BT Reward Card when ordering an Ultrafast Fibre Plus or 2 Plus Package. Existing BT Broadband customers upgrading to BT Infinity or those adding just BT TV are excluded. From 15.03.19 until 21.03.19 new to BT customers are eligible for a £60 BT Reward Card when ordering a Broadband Unlimited Package, £60 BT Reward Card when ordering a Superfast Fibre Essential Unlimited Package, £100 BT Reward Card when ordering a Superfast Fibre Unlimited Package, £140 BT Reward Card when ordering a Superfast Fibre 2 Unlimited, Superfast Fibre 3 or 4 Plus Package and a £150 BT Reward Card when ordering an Ultrafast Fibre Plus or 2 Plus Package. Existing BT Broadband customers upgrading to BT Infinity or those adding just BT TV are excluded. From 01.03.19 until 14.03.19 new to BT customers are eligible for a £50 BT Reward Card when ordering a Broadband Unlimited Package, £80 BT Reward Card when ordering a Superfast Fibre Unlimited Package, £120 BT Reward Card when ordering a Superfast Fibre 2 Unlimited, Superfast Fibre 3 or 4 Plus Package and a £130 BT Reward Card when ordering an Ultrafast Fibre Plus or 2 Plus Package. Existing BT Broadband customers upgrading to BT Infinity or those adding just BT TV are excluded. From 22.02.19 until 28.02.19 new to BT customers are eligible for a £30 BT Reward Card when ordering a Broadband Unlimited Package, £30 BT Reward Card when ordering a Superfast Fibre Essential Unlimited Package, £50 BT Reward Card when ordering a Superfast Fibre Unlimited Package, £70 BT Reward Card when ordering a Superfast Fibre 2 Unlimited, Superfast Fibre 3 or 4 Plus Package and a £80 BT Reward Card when ordering an Ultrafast Fibre Plus or 2 Plus Package. Existing BT Broadband customers upgrading to BT Infinity or those adding just BT TV are excluded. From 10.02.19 until 21.02.19 new to BT customers are eligible for a £40 BT Reward Card when ordering a Broadband Unlimited Package, £80 BT Reward Card when ordering a Superfast Fibre Unlimited Package, £120 BT Reward Card when ordering a Superfast Fibre 2 Unlimited, Superfast Fibre 3 or 4 Plus Package and a £130 BT Reward Card when ordering an Ultrafast Fibre Plus or 2 Plus Package. Existing BT Broadband customers upgrading to BT Infinity or those adding just BT TV are excluded. From 01.02.19 until 09.02.19 new to BT customers are eligible for a £50 BT Reward Card when ordering a Broadband Unlimited Package, £50 BT Reward Card when ordering a Superfast Fibre Essential Unlimited Package, £90 BT Reward Card when ordering a Superfast Fibre Unlimited Package, £130 BT Reward Card when ordering a Superfast Fibre 2 Unlimited, Superfast Fibre 3 or 4 Plus Package and a £140 BT Reward Card when ordering an Ultrafast Fibre Plus or 2 Plus Package. Existing BT Broadband customers upgrading to BT Infinity or those adding just BT TV are excluded. From 25.01.19 until 31.01.19 new to BT customers are eligible for a £60 BT Reward Card when ordering a Broadband Unlimited Package, £60 BT Reward Card when ordering a Superfast Fibre Essential Unlimited Package, £100 BT Reward Card when ordering a Superfast Fibre Unlimited Package, £140 BT Reward Card when ordering a Superfast Fibre 2 Unlimited, Superfast Fibre 3 or 4 Plus Package and a £150 BT Reward Card when ordering an Ultrafast Fibre Plus or 2 Plus Package. Existing BT Broadband customers upgrading to BT Infinity or those adding just BT TV are excluded. From 11.01.19 until 24.01.19 new to BT customers are eligible for a £50 BT Reward Card when ordering a Broadband Unlimited Package, £90 BT Reward Card when ordering a Superfast Fibre Unlimited Package, £110 BT Reward Card when ordering a Superfast Fibre 2 Unlimited, Superfast Fibre 3 or 4 Plus Package and a £120 BT Reward Card when ordering an Ultrafast Fibre Plus or 2 Plus Package. Existing BT Broadband customers upgrading to BT Infinity or those adding just BT TV are excluded. From 21.12.18 until 10.01.19 new to BT customers are eligible for a £60 BT Reward Card when ordering a Broadband Unlimited Package, £70 BT Reward Card when ordering a Superfast Fibre Essential Unlimited Package, £100 BT Reward Card when ordering a Superfast Fibre Unlimited Package, £120 BT Reward Card when ordering a Superfast Fibre 2 Unlimited, Superfast Fibre 3 or 4 Plus Package and a £130 BT Reward Card when ordering an Ultrafast Fibre Plus or 2 Plus Package. Existing BT Broadband customers upgrading to BT Infinity or those adding just BT TV are excluded. From 14.12.18 until 20.12.18 new to BT customers are eligible for a £60 BT Reward Card when ordering a Broadband Unlimited Package, £70 BT Reward Card when ordering a Superfast Fibre Essential Unlimited Package, £100 BT Reward Card when ordering a Superfast Fibre Unlimited Package, £130 BT Reward Card when ordering a Superfast Fibre 2 Unlimited, Superfast Fibre 3 or 4 Plus Package and a £140 BT Reward Card when ordering an Ultrafast Fibre Plus or 2 Plus Package. Existing BT Broadband customers upgrading to BT Infinity or those adding just BT TV are excluded. From 07.12.18 until 13.12.18 new to BT customers are eligible for a £70 BT Reward Card when ordering a Broadband Unlimited Package, £80 BT Reward Card when ordering a Superfast Fibre Essential Unlimited Package, £120 BT Reward Card when ordering a Superfast Fibre Unlimited Package, £140 BT Reward Card when ordering a Superfast Fibre 2 Unlimited, Superfast Fibre 3 or 4 Plus Package and a £150 BT Reward Card when ordering an Ultrafast Fibre Plus or 2 Plus Package. Existing BT Broadband customers upgrading to BT Infinity or those adding just BT TV are excluded. From 27.11.18 until 06.12.18 new to BT customers are eligible for a £60 BT Reward Card when ordering a Broadband Unlimited Package, £70 BT Reward Card when ordering a Superfast Fibre Essential Unlimited Package, £100 BT Reward Card when ordering a Superfast Fibre Unlimited Package, £130 BT Reward Card when ordering a Superfast Fibre 2 Unlimited, Superfast Fibre 3 or 4 Plus Package and a £140 BT Reward Card when ordering an Ultrafast Fibre Plus or 2 Plus Package. Existing BT Broadband customers upgrading to BT Infinity or those adding just BT TV are excluded. From 02.11.18 until 08.11.18 new to BT customers are eligible for a £60 BT Reward Card when ordering a Broadband Unlimited Package, £70 BT Reward Card when ordering a Superfast Fibre Essential Unlimited Package, £90 BT Reward Card when ordering a Superfast Fibre Unlimited Package, £100 BT Reward Card when ordering a Superfast Fibre 2 Unlimited, Superfast Fibre 3 or 4 Plus Package and a £130 BT Reward Card when ordering an Ultrafast Fibre Plus or 2 Plus Package. Existing BT Broadband customers upgrading to BT Infinity or those adding just BT TV are excluded. From 19.10.18 until 01.11.18 new to BT customers are eligible for a £30 BT Reward Card when ordering a Broadband Unlimited Package, £80 BT Reward Card when ordering a Superfast Fibre Unlimited Package, £90 BT Reward Card when ordering a Superfast Fibre 2 Unlimited, Superfast Fibre 3 or 4 Plus Package and a £120 BT Reward Card when ordering an Ultrafast Fibre Plus or 2 Plus Package. Existing BT Broadband customers upgrading to BT Infinity or those adding just BT TV are excluded. From 12.10.18 until 18.10.18 new to BT customers are eligible for a £60 BT Reward Card when ordering a Broadband Unlimited Package, £70 BT Reward Card when ordering a Superfast Fibre Essential Unlimited Package, £90 BT Reward Card when ordering a Superfast Fibre Unlimited Package, £100 BT Reward Card when ordering a Superfast Fibre 2 Unlimited, Superfast Fibre 3 or 4 Plus Package and a £130 BT Reward Card when ordering an Ultrafast Fibre Plus or 2 Plus Package. Existing BT Broadband customers upgrading to BT Infinity or those adding just BT TV are excluded. From 05.10.18 until 11.10.18 new to BT customers are eligible for a £70 BT Reward Card when ordering a Broadband Unlimited Package, £80 BT Reward Card when ordering a Superfast Fibre Essential Unlimited Package, £100 BT Reward Card when ordering a Superfast Fibre Unlimited Package, £110 BT Reward Card when ordering a Superfast Fibre 2 Unlimited, Superfast Fibre 3 or 4 Plus Package and a £140 BT Reward Card when ordering an Ultrafast Fibre Plus or 2 Plus Package. Existing BT Broadband customers upgrading to BT Infinity or those adding just BT TV are excluded. £30 BT Reward Card when you order the 500MB plan or higher. £40 BT Reward Card when you order the 1GB plan or higher. £60 BT Reward Card when you order the 3GB plan or higher. £70 BT Reward Card when you order the 6GB plan or higher. £75 BT Reward Card when you order the 10GB plan or higher. £80 BT Reward Card when you order the 20GB plan or higher. £90 BT Reward Card when you order the 40GB plan or higher. £80 BT Reward Card when you order the 6GB plan or higher. £100 BT Reward Card when you order the 15GB plan or higher (excluding triple data offer on 15GB plan). £110 BT Reward Card when you order the 30GB plan or higher. 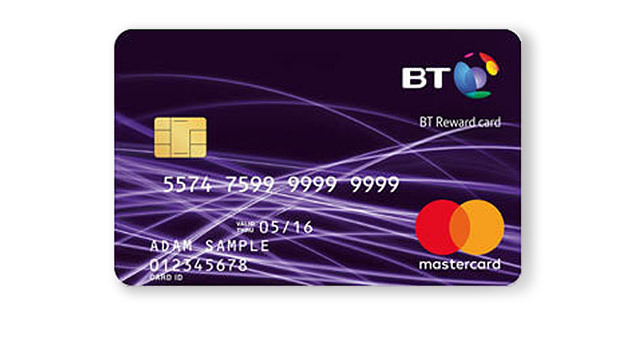 Only the main 12-month SIM is offered a BT Reward Card – not the additional 30 day SIMs. £20 BT Reward Card when you order the 500MB plan or higher. £30 BT Reward Card when you order the 1GB plan or higher. £40 BT Reward Card when you order the 3GB plan or higher. £50 BT Reward Card when you order the 6GB plan or higher. £70 BT Reward Card when you order the 10GB plan or higher. £75 BT Reward Card when you order the 20GB plan or higher. £80 BT Reward Card when you order the 40GB plan or higher. £50 BT Reward Card when you order the 3GB plan or higher. £90 BT Reward Card when you order the 15GB plan or higher (excluding triple data offer on 15GB plan). £100 BT Reward Card when you order the 30GB plan or higher. £10 BT Reward Card when you order the 500MB plan or higher. £20 BT Reward Card when you order the 1GB plan or higher. £30 BT Reward Card when you order the 3GB plan or higher. £40 BT Reward Card when you order the 6GB plan or higher. £50 BT Reward Card when you order the 10GB plan or higher. £60 BT Reward Card when you order the 20GB plan or higher. £70 BT Reward Card when you order the 40GB plan or higher. £40 BT Reward Card when you order the 500MB plan or higher. £50 BT Reward Card when you order the 1GB plan or higher. £70 BT Reward Card when you order the 3GB plan or higher. £90 BT Reward Card when you order the 6GB plan or higher. £110 BT Reward Card when you order the 15GB plan or higher (excluding triple data offer on 15GB plan). £120 BT Reward Card when you order the 30GB plan or higher. £60 BT Reward Card when you order the 6GB plan or higher. £0 BT Reward Card when you order the 500MB plan or higher. £0 BT Reward Card when you order the 1GB plan or higher. £80 BT Reward Card when you order the 15GB plan or higher. £110 BT Reward Card when you order the 60GB plan or higher. £60 BT Reward Card when you order the 10GB plan or higher. £70 BT Reward Card when you order the 20GB plan or higher. £75 BT Reward Card when you order the 40GB plan or higher. £70 BT Reward Card when you order the 15GB plan or higher. £90 BT Reward Card when you order the 30GB plan or higher. £100 BT Reward Card when you order the 60GB plan or higher. £20 BT Reward Card when you order the 3GB plan or higher. £60 BT Reward Card when you order the 15GB plan or higher. £80 BT Reward Card when you order the 30GB plan or higher. £25 BT Reward Card when you order the 500MB plan or higher. £80 BT Reward Card when you order the 10GB plan or higher. £90 BT Reward Card when you order the 20GB plan or higher. £100 BT Reward Card when you order the 40GB plan or higher. £60 BT Reward Card when you order the 1GB plan or higher. £90 BT Reward Card when you order the 6GB plan or higher (excluding double data on the 3GB plan). £110 BT Reward Card when you order the 15GB plan or higher. £150 BT Reward Card when you order the 30GB plan or higher. £160 BT Reward Card when you order the 60GB plan or higher (excluding double data on the 60GB plan). £45 BT Reward Card when you order the 1GB plan or higher. £80 BT Reward Card when you order the 6GB plan or higher (excluding double data on the 3GB plan). £100 BT Reward Card when you order the 15GB plan or higher. £140 BT Reward Card when you order the 30GB plan or higher. £150 BT Reward Card when you order the 60GB plan or higher (excluding double data on the 60GB plan). £15 BT Reward Card when you order the 500MB plan or higher. £55 BT Reward Card when you order the 6GB plan or higher. £65 BT Reward Card when you order the 10GB plan or higher. £85 BT Reward Card when you order the 40GB plan or higher. £50 BT Reward Card when you order the 3GB plan or higher (excludes the 1GB plan with 2GB extra data and 3 months half price). £40 BT Reward Card when you order the 3GB plan or higher (excludes the 1GB plan with 2GB extra data and 3 months half price). £5 BT Reward Card when you order the 500MB plan or higher. £10 BT Reward Card when you order the 1GB plan or higher. £60 BT Reward Card when you order the 3GB plan or higher (excludes the 1GB plan and 2GB extra data and 3 months half price). £90 BT Reward Card when you order the 15GB plan or higher. £35 BT Reward Card when you order the 1GB plan or higher. £45 BT Reward Card when you order the 3GB plan or higher. £15 BT Reward Card when you order the 1GB plan or higher. £25 BT Reward Card when you order the 3GB plan or higher. £45 BT Reward Card when you order the 6GB plan or higher. £65 BT Reward Card when you order the 15GB plan or higher. £85 BT Reward Card when you order the 30GB plan or higher. £95 BT Reward Card when you order the 60GB plan or higher (excludes 30GB double data). £65 BT Reward Card when you order the 6GB plan or higher. £85 BT Reward Card when you order the 15GB plan or higher. £105 BT Reward Card when you order the 30GB plan or higher. £115 BT Reward Card when you order the 60GB plan or higher (excluding double data on the 60GB plan and 6 months half price). £25 BT Reward Card when you order the 1GB plan or higher. £35 BT Reward Card when you order the 3GB plan or higher. £75 BT Reward Card when you order the 15GB plan or higher. £95 BT Reward Card when you order the 30GB plan or higher. £105 BT Reward Card when you order the 60GB plan or higher. £115 BT Reward Card when you order the 60GB plan or higher. 20 BT Reward Card when you order the 500MB plan or higher. £90 BT Reward Card when you order the 60GB plan or higher. £95 BT Reward Card when you order the 60GB plan or higher.